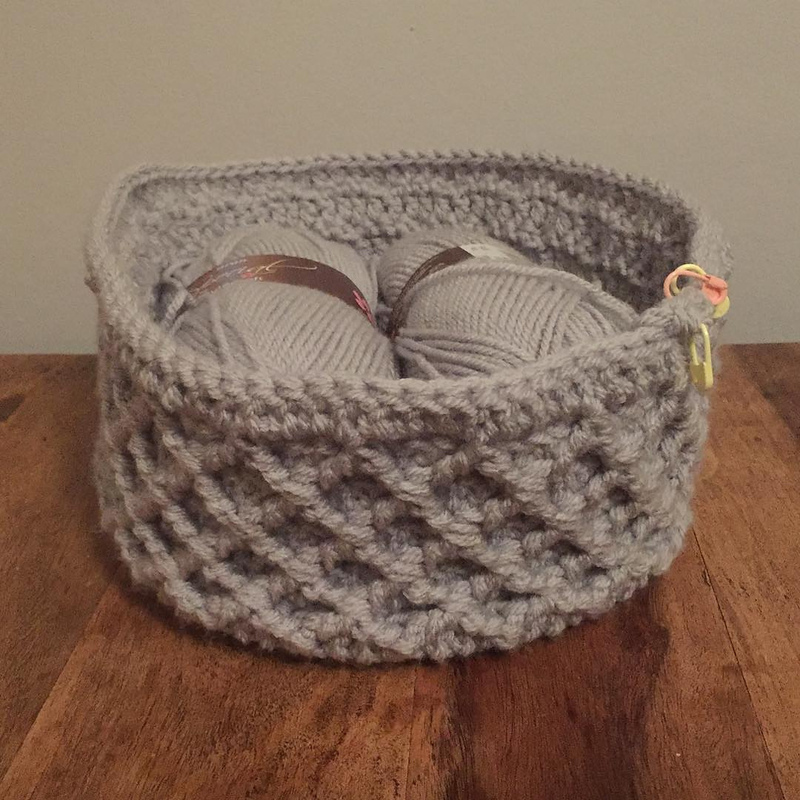 This winter I decided it was on time to make a basket that I'd bought yarn for back in July 2016. The pattern I wanted to use is called "Diamond Trellis Basket" by Esther Chandler and can be found on her blog here: Make My Day Creative. When I first saw the basket I fell in love with it straight away. 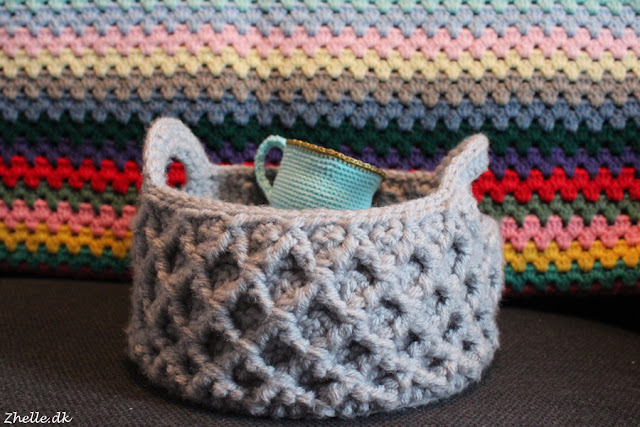 It is elegant and at the same time stable, and that's why it's a perfect project basket. The yarn I chose to use was Stylecraft Special Aran (100 g balls) in the colour 1203 Silver. I tried calculating how much I needed, and I believed that two balls would be enough for one basket. 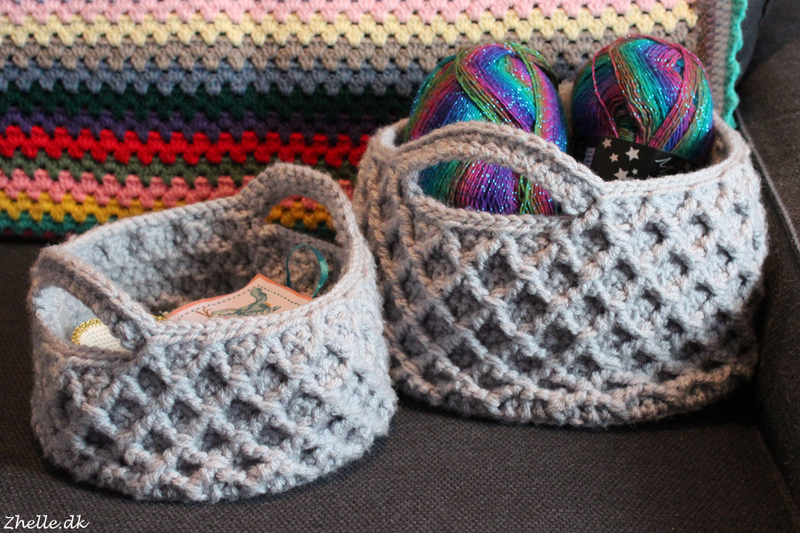 I bought four balls of yarn to make two baskets. I weighed my basket after finishing the base, and I had used 55 grams of yarn, which was just over a quarter of the amount. 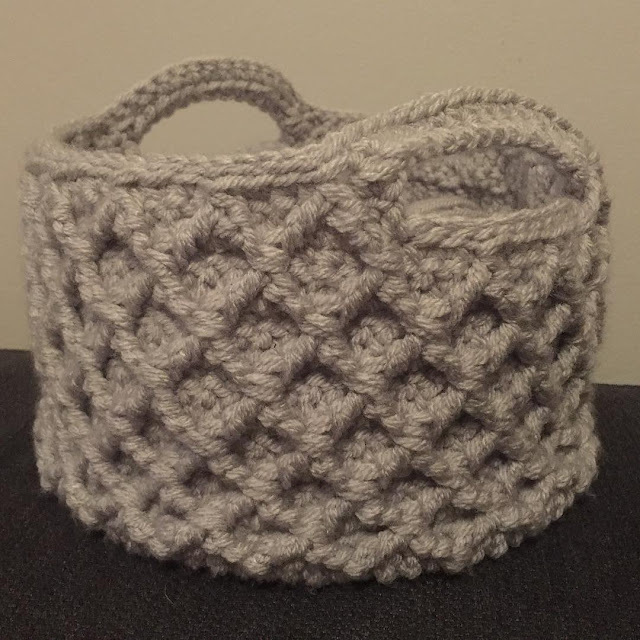 This fitted with the pattern, so I did believe that I had yarn enough to make an identical basket to the one Esther had made. However, after round 19, I could see that I would probably be short on yarn, so I weighed it again. There was only 45 grams left, so there definitely not be enough yarn. 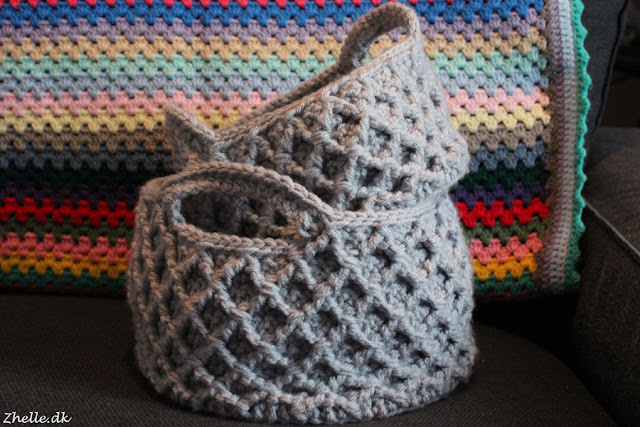 To get the same proportions as in the pattern I would be short on yarn, because each two rounds of the pattern uses about 25 grams of yarn. Luckily I had bought four balls of yarn, so I could without problem make a basket in full size. For the big basket I used about 235 grams of yarn. I did have quite a bit of yarn left as I wanted to make two baskets. That's why I bought four balls of yarn to begin with! I decided to make a smaller version of the basket so I could use the leftover yarn without having to buy more. Instead of 11 rounds for the base, I only made 10. While I crocheted the sides of the basket I kept weighing how much yarn I had left, so I would be certain to have enough. Instead of 3,5 'diamonds' in height I only made 2,5, and ensured that I had enough yarn to make a whole basket. I will definitely recommend the Diamond Trellis Basket pattern. The baskets are so pretty, when they're done!